Moreover, CAIR also provided legal assistance to the family of the San Bernardino terrorists in 2015, a husband-and-wife who murdered 14 people and wounded 22 at a Christmas party. A CAIR spokesman blamed the attack, in part, on U.S. foreign policy. Recently, the Islamist Money in Politics (IMIP) project, part of Daniel Pipes’s Middle East Forum, identified Campa-Najjar as the #5 recipient of “Islamist money” in the 2017-8 election cycle, thanks to nearly $9,000 in campaign contributions from senior members of CAIR. 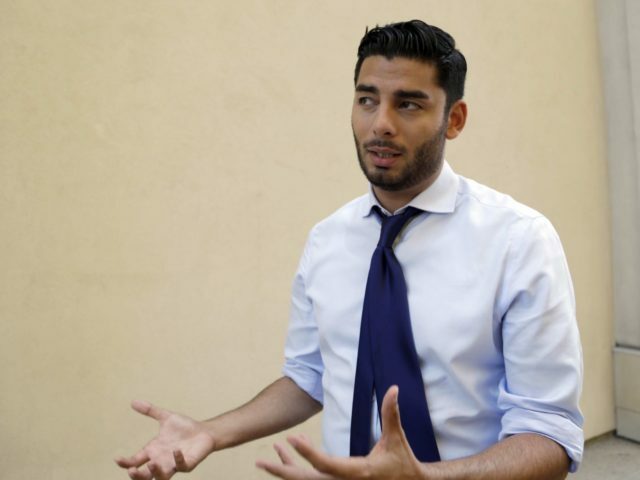 On Friday, the San Diego Union-Tribune reported — in an article defending Campa-Najjar — that he had received even more, $17,300, from “board members” of CAIR. “I reject the premise,” he said. “There is no CAIR money,” he said, adding that it comes from hard-working doctors and lawyers and others. The Union-Tribune cites the far-left, George Soros-funded organization J Street in Campa-Najjar’s defense, falsely referring to J Street as a “pro-Israeli” group in noting that J Street does not consider CAIR to be extremist. J Street opposes the Israeli government to such an extreme extent that Israel’s ambassador to the U.S. refuses to meet with it. J Street often takes anti-Israel positions in lobbying Congress — such as promoting the Goldstone Report, which falsely accused Israel of war crimes in Operation Cast Lead, a war to stop Hamas rockets in 2008-9. There is no sense in which J Street’s position can be taken seriously as a reflection of “pro-Israeli” opinion. In addition to receiving money from CAIR leaders, the Campa-Najjar campaign has also donated to CAIR. It also received a $250.00 donation from a Palestinian ambassador, which the campaign likewise refuses to return. Campa-Najjar’s paternal grandfather was a Palestinian terrorist who worked closely with Yasser Arafat and was involved with the murder of 11 Israeli athletes at the 1972 Olympic Games in Munich, Germany. Campa-Najjar is challenging incumbent Rep. Duncan Hunter (R-CA) in California’s 50th congressional district. Hunter was recently indicted on federal charges of misusing campaign funds, though he says he is innocent and the charges are politically motivated.